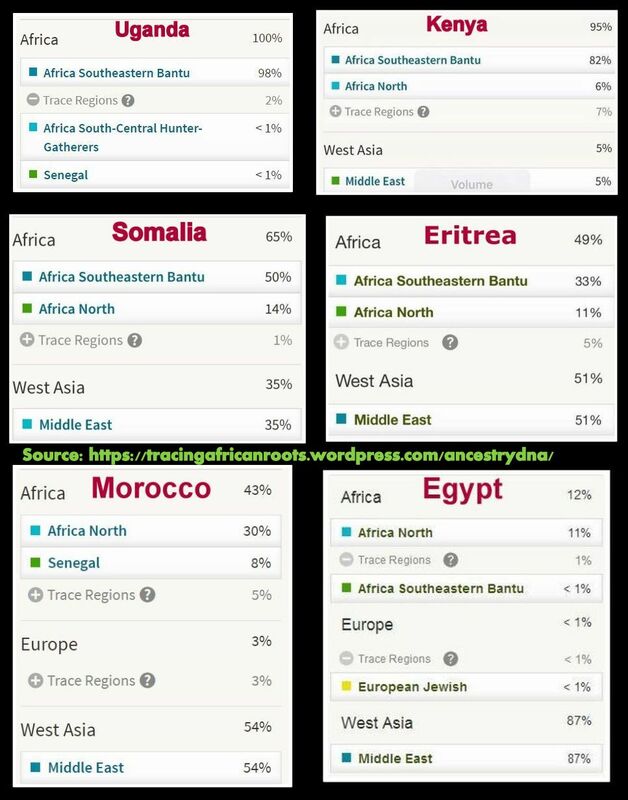 I have created a new page featuring the AncestryDNA results for persons from East Africa as well as North Africa. I will create new sections for West Africa and also Central/Southern Africa shortly. Despite the minimal number of results i have collected sofar i also provide some statistical data, background information and relevant context. On the 3rd of October 2015 i published my first preliminary findings based on 15 Haitian AncestryDNA results. Right now, a year later, i have managed to collect a sample group which is three times greater. Consisting of no less than 45 AncestryDNA results of Haitian born or Haitian descended persons! Eventhough this tripled sample size is obviously still limited it will most likely provide a greater insight in the African regional roots for Haitians than was possible last year. In the remaining part of this blog post i will briefly discuss the main differences with my previous findings from last year. And in addition i will also present some new statistics and background information on the European and Amerindian origins of Haitians as reported by AncestryDNA. 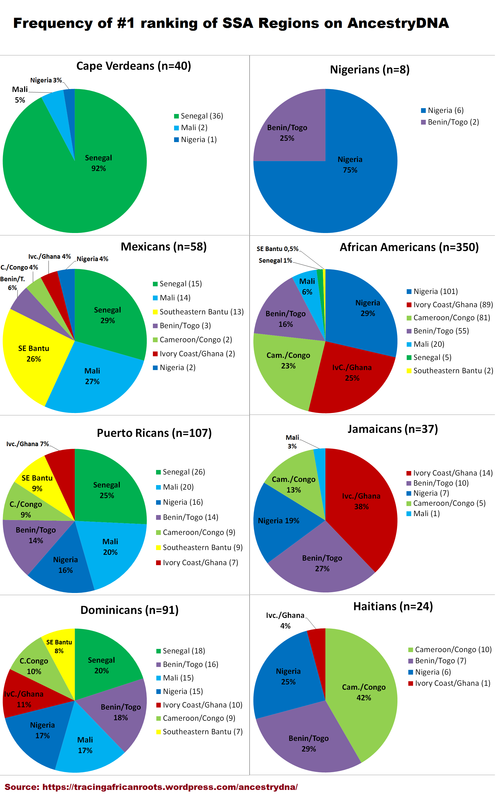 In 2013 AncestryDNA updated their Ethnicity Estimates to include a very detailed breakdown of West African ancestry (see this article). Soon afterwards I started collecting AncestryDNA results in an online spreadsheet in order to conduct a survey of the African regions being reported by AncestryDNA, among both African Americans as well as other Afro-descended nationalities. 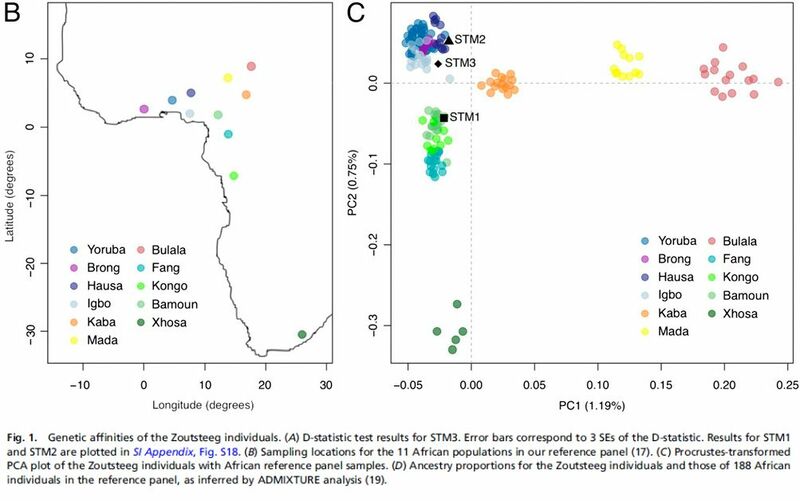 Attempting to establish how much the AncestryDNA results on an aggregated group level can already (despite limitations of sample size) be correlated with whatever is known about the documented regional African roots for each nationality. Gathering all the results was a great learning experience. It has been a very satisfactory project! My survey report merely represents my personal attempt at identifying generalized, preliminary and indicative patterns on a group level inspite of individual variation. Everyone has a unique family tree of course first of all. I would like to thank again all my survey participants for sharing their results with me. I am truly grateful for it! Jamaican maternal lineages trace back mostly to Ghana? Source: “Interdisciplinary approach to the demography of Jamaica”, (Deason et al., 2012).